Walter Todd had a career in the martial arts for over 50 years, and although he generally avoided the limelight, he was featured in numerous martial arts magazines. In an Interview, Walter Todd explains that he studied martial arts because he was “not exactly a good boy in high school”. He spent his time playing games he could gamble on and cheating other kids out of their lunch. He realized he better learn to protect himself because one day someone would come after him. He read a judo book by Charles Yerkow and there was one little sentence about the Kodokan. Walter Todd “liked the idea of a little guy throwing a big guy around very appealing”. So when Walter Todd went to Japan, he went to the Kodokan and enrolled as a student. It was 1945 Walter Todd began training in budo, the traditional martial arts of Japan while he was stationed in Tokyo with the American military. He married a Japanese woman, and lived in Japan off-and-on throughout the 1940s, 50s and 60s. Walter Todd studied under many illustrious teachers including Kyuzo Mifune, and Ichiro Abe at the Kodokan Judo Institute. Kyuzo Mifune was the last living holder of the tenth dan awarded by Jigoro Kano, the founder of judo. He accepted Walter Todd as his personal student. In 1948, Walter Todd became the first foreign student of Hironori Otsuka, founder of Wado Ryu karate. In 1954, Walter Todd trained under Isao Obata and other Japanese experts in Shotokan karate. Isao Obata was a direct student of Gichin Funakoshi, founder of Shotokan karate and the person responsible for bringing karate to Japan from Okinawa. Gichin Funakoshi is commonly regarded as the “Father of Japanese Karate,” and Funakoshi approved Walter Todd’s Black Belt certificate, making him the first foreigner in history to obtain a dan rank in Shotokan karate. After returning to the USA, Walter Todd trained in karate-do under Takahashi Yoko, a direct disciple of the legendary Kanken Toyama. Kanken Toyama, the founder of his own celebrated system of karate, eventually appointed Walter Todd as Shibu-cho (Branch Director) for the U.S., giving him complete authority to rank students in Toyama-style karate and direct the development of karate in America. After Kanken Toyama’s death, his son approved Walter Todd’s rank of eighth dan. Walter Todd later began aikido under two world famous instructors, Kenji Tomiki, founder of Tomiki aikido, and Koichi Tohei, the only man to ever receive a tenth dan certificate in aikido directly from the art’s originator Morihei Ueshiba. In fact, Morihei Ueshiba personally approved and signed Walter Todd’s first and second dan certificates. Walter Todd later received a sixth dan in aikido from the celebrated Kokusai Budoin of Tokyo. 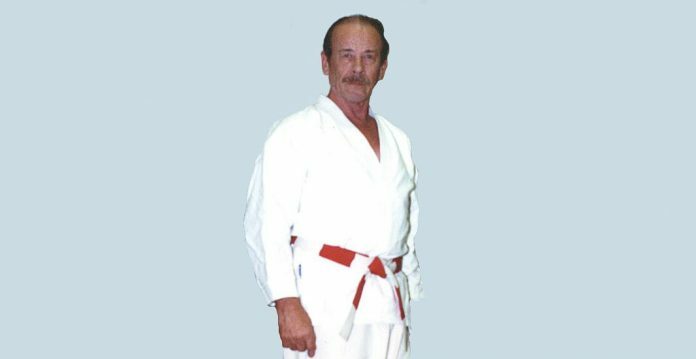 In June of 1993, the Kokusai Budoin, which was founded in 1952 by leading masters of various forms of budo, issued Walter Todd an eighth dan in judo. Even in Japan, ranks above fourth dan are difficult to achieve, and it is extremely rare to find a foreigner ranked sixth dan or higher. The Kokusai Budoin is one of few groups in history to be authorized to issue rank certificates by Japan’s Imperial Family, it has branches in dozens of countries, and is known to be rather conservative in nature. In addition to being a Senior Advisor to the Kokusai Budoin’s USA branch, Walter Todd was the founder of the Shudokan Martial Arts Association (SMAA). SMAA is an association consisting of multiple martial arts divisions, and as the result Walter Todd left no specific person as a successor although Morris Mack in the Washington state area has the largest following of Shudokan students in the country and there is a large following under Karl Scott III in Ann Arbor, Michigan. Also the Okinawan Karate Club of Dallas and the dojos affiliated with it in San Francisco, Arlington and Atlanta, have a large group of karateka studying Shudokan karate as well. Walter Todd passed away on November 26, 1999, He was 72 years old. While Walter Todd had not operated a dojo for some time but he continued to teach seminars and he remained actively involved in the Japanese martial ways until the end of his life. Despite advanced age, and in spite of suffering from injuries and illness for many years, he never reached a point in his life where he could no longer teach.